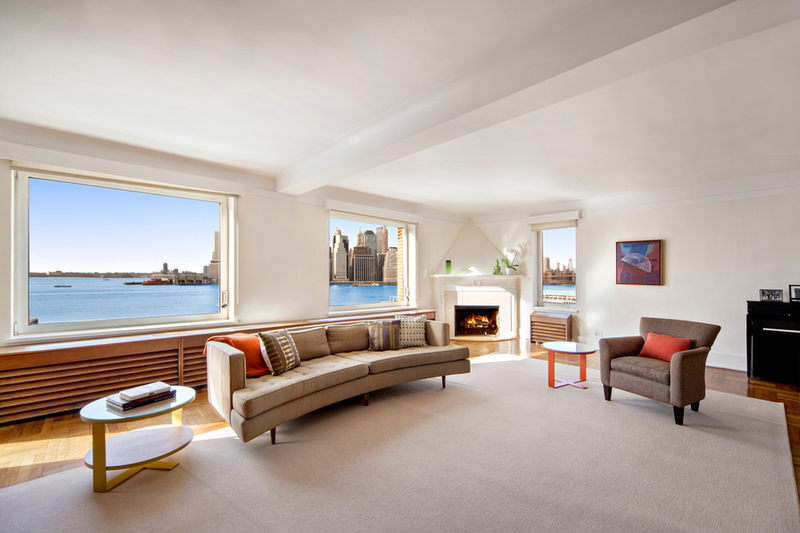 A top-floor apartment at 1 Grace Court in Brooklyn Heights that offers extremely compelling views of Downtown Manhattan, the Statue of Liberty, and the Brooklyn Bridge. The apartment is asking $4.95 million. The only five-bedroom prewar apartment currently available on this exclusive cul-de-sac, this sprawling home features an expansive double living room with wood-burning fireplace, formal dining room and spacious eat-in kitchen flanked by two bedroom wings - every bedroom generously proportioned. Mary Ellen Cashman and Leslie Davidson at Stribling & Associates are the listing agents, for more information go here.